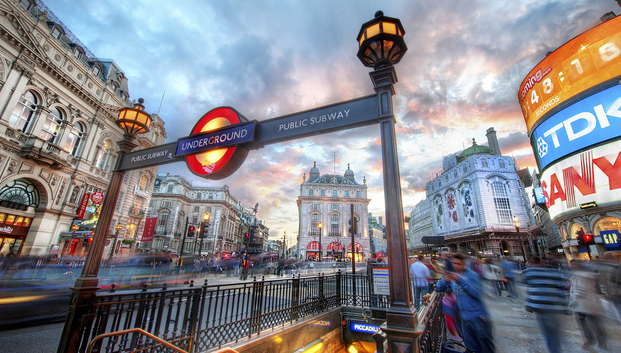 Free Wi-Fi will be made available to London’s commuters in time for the Olympics. That is, when the Tube drivers aren’t on strike leaving half the network crippled for days at a time. Everyone loves a freebie, especially if it comes in invisible wireless waves of Wi-Fi enjoyment. Thankfully for the typical grumpy Londoner, users of the Underground subway system will receive free Wi-Fi during July and August. The catch? There isn’t one as it happens, with anyone able to use the free Wi-Fi during the Olympics and beyond, thanks to Virgin Media. If there were one, however, it would be that once the slightly later Paralympic Games are over, non-Virgin customers will be shuttered out. Ideally every small business should have at least two phone lines and a Phone System to field calls, with professional voicemail and features similar to those used by large companies. People working from home do not want to use the domestic phone line and number for their business. SmartHorizon gives all the features of a fully blown Phone System, at a fraction of the cost. We supply you with a Cisco business phone which connects to us via your broadband. The phone is delivered already set up to your configuration – Phone no. etc. You will have a new phone number, with an area code of your choice. Do not worry if you want to alter your set up as you will have access to a web ‘portal’ which will enable you to make changes. Line Rental is included in the £12.50 monthly fee. Each phone has a line. Never miss a call. If you are engaged and someone calls they will be put through to voicemail. Call log. All calls – including missed – calls are logged. Voicemail. Voice mail messages can be sent to email. Directory – Create your directory by capturing the caller’s number. Twin your phone with your mobile – both can ring simultaneously or sequentially. ‘Night service’ message. Different message for when the office closes – You choose the time. Auto Attendant – press 1 for Sales, 2 for Accounts etc gives the impression of scale. You can even record calls. During a call instruct the system to record and it will do so from the beginning of the call. You then simply download the ‘file’. The only additional cost is a £200.00 one off set up fee which includes the pre-configured Cisco Phone. You simply plug the phone into your Router and start making and receiving calls. SmartHorizon uses the Broadsoft platform (the world’s largest hosted provider) to power our services. The system evolves from us implementing our client’s wishes. Consequently there are all the features you would expect with additional ones being added all the time. We look forward to helping you resolve this common issue for a monthly charge that is less than the rental of a BT Business Analogue Phone Line. Smartinfo Ltd are available to help. Smartinfo can supply and configure a Cisco phone system for you small business. Based on the Broadsoft r17 platform, customers can manage their extension online and upload auto attendant and music on hold online. POE (Power over Eithernet) switches, cat 5 installs, and fax to email solutions are also available. Smartinfo have installed many new phone systems for schools and colleges. Many companies just remove old switchboards like for like, misssing an opportunity to add greater functionallity to a schools facility management. If your supplier has not recommended any, or all, of the above they are not looking after a schools functional needs! It is recommended all owners of telephone systems take out a maintneance contract on their phone system. A maintenance agreement gives a number of benifits over a pay as you go call-out structure. As an added benefit Smartinfo also throw in some free moves and changes into our maintenance contracts, that is we provide a number of free dial-ins over the term of the contract, often refered to as MOCs – or moves and changes, such as phone name changes or ring group tweeks. What is often overlooked is the cheap cost of maintenance, on our survey of our customer base Telephon system maintenance if less than 10% of the price of IT support for the same company. If you consider a company still uses telephony for customer contact at least as much as email and web this offers great value. Also most IT contracts do not offer hardware cover, whereas a smartinfo phone maintenance contract covers all hardware failures and the labour to replace or fix, within an SLA of commonly 4 or 8 hours. If you refer to our life of a phone system blog post it is interesting to note that maintenance or service contract also covers software upgrades. Some people relate a service contract to consumer items such as washing machines or fridges, or even business products like photocopiers, but these items tend to have a single mechanical part, and a modernday phone system is software driven and a business critical component – in fact we would argue as important as the business premisis, or staff. Engineering work will be undertaking an essential software upgrade within the resilient virtual firewall infrastructure at the London 3 data centre. This work will allow further virtual firewalls to be provisioned whilst also removing a software bug recently identified that is preventing provisioning activites to take place. This work has been recommended by the vendor. No customer impact is anticipated during the works as virtual services hosted on the device being worked upon will be migrated on to unaffected resilient devices within London 2. However, there is a very slight possibility of disruption to services in London 3, mainly the DNS platform but also including DSL and Leased Lines. Please check your connectivity after the maintenance window. If problems persist, please contact the Emergency Support Team. Virtual PBX is usually a fantastic alternative, in relation to picking out a smaller Office Phone Systems. With all its improved telecommunication facilities, this cellular phone assistance can help organization communication in a productive and specialist way. A virtual PBX cell phone system is integrated by using a variety of refined options which might be commonly seen in fashionable phone systems of greater firms. Voice mail box facility, fax mail, fax to email, caller ID, find me follow me, simply call forwarding or no matter what be your modest small business telecommunication necessity, it is possible to have it all by a virtual PBX program, at very reasonably priced rates. Independence to operate company even when within the move.